This is a very rare challenge and it is also a very bizarre maneuver. It will be represented by the Joker card and it requires one of the greatest Karaoke feats of all. It doesn't request a specific song or even type of song. The card asks that you perform one song while another song's karaoke track plays. This is the game breaker. If you can do this incredible performance you deserve all the riches that life has in store for you. It means you are truly a magical creature. 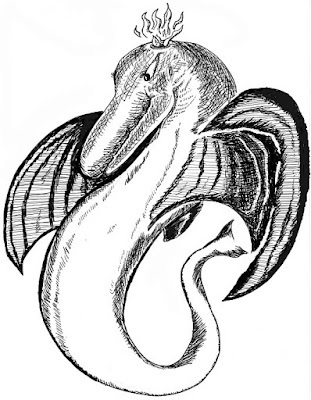 Perhaps even a descendant of the legendary draco-dolphin itself. That which sang sailors to sleep who, lost at sea, would toss and turn in fits of scurvy induced night terrors. If brought solace for even a minute these men of the sea would thank the heavens for the loving coos of this magnificent beast.